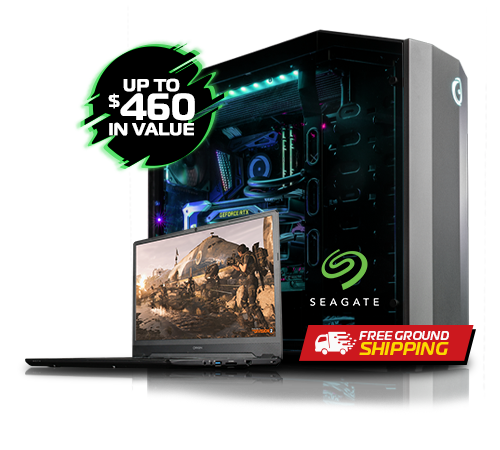 Celebrating the launch of our new Ready-to-Ship NEURON gaming desktop starting at $1499, we’ve partnered with PewDiePie to give one of these award-winning desktops away to a lucky fan! All-New Ready-to-Ship Systems Are Now Available! NO PURCHASE NECESSARY TO ENTER OR WIN. VOID WHERE PROHIBITED OR RESTRICTED BY LAW. Giveaway is open Worldwide except where prohibited by local law. Entrants must be 18 years of age or older to win. A PURCHASE DOES NOT IMPROVE YOUR CHANCES OF WINNING. An email is required to enter this giveaway and will be stored in a Gleam database which will be used to store your data for the giveaway. Your email will only be used to contact you in the event that you are a winner of the giveaway. If you would like your email to be removed from the Gleam database during or after the giveaway is complete, please email [email protected] with the subject line “PewDiePie RTS NEURON Giveaway - Gleam Removal” and in the body of the email, request the removal of your email and include the email you want removed from the database. ORIGIN PC will remove the email and accompanying entries/data from the Gleam database. IF YOU REQUEST REMOVAL DURING THE GIVEAWAY PERIOD YOUR ENTRIES WILL BE REMOVED AND YOU WILL NOT BE ELIGIBLE FOR A CHANCE TO WIN. Subscribing to the ORIGIN PC newsletter will not get you extra entries for the giveaway and is entirely optional. 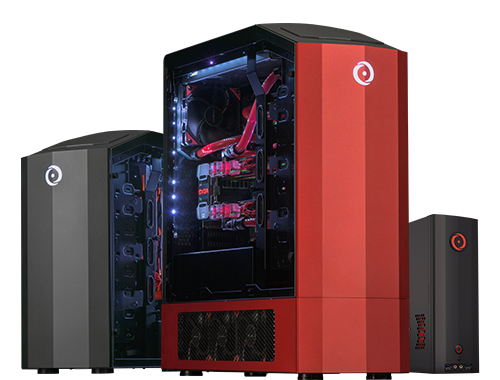 If you subscribe to the ORIGIN PC newsletter you will be providing your email to ORIGIN PC which will be stored in ORIGIN PC’s email database and will only be for newsletter communications from ORIGIN PC. You can unsubscribe from ORIGIN PC’s newsletters at any time by clicking on the “Unsubscribe” link at the bottom of every newsletter. If you click that link and confirm unsubscribing, we will remove your email from our database. You can also request removal from our email database by emailing [email protected] with the subject line “ORIGIN PC Newsletter Email Removal” and request the email to be removed from the database. Sweepstakes begins at 12:00:00 pm Eastern Daylight Time (EDT) on February, 28 2019, and ends at 11:59:00 pm Eastern Standard Time (EST) on March 31, 2019 (the “Sweepstakes Period”). 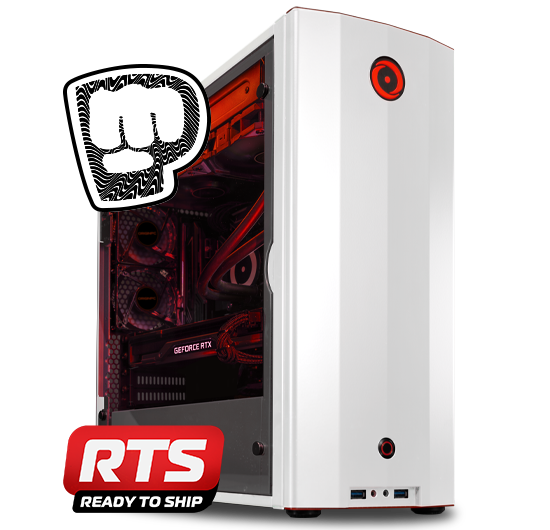 (i) ONLINE/Gleam Application: Entrant must visit https://www.originpc.com/promotion/2019/pewdiepie-rts-neuron-giveaway/ during the Sweepstakes Period and complete the Online Sweepstakes Gleam Application widget form in its entirety by including: age, complete name, and email address. 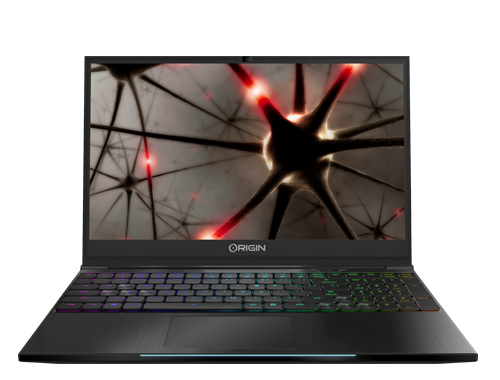 Then, click the “Follow”/”Visit” button to follow/visit @ORIGINPC on Twitter, Facebook, Instagram, Twitch, Mixer, YouTube, follow/visit @PewDiePie on YouTube, Instagram, Twitter, follow/visit TeamEVGA on Twitter, Instagram, YouTube, Twitch, Mixer, visit ORIGIN PC’s newsletter sign up page, refer friends to the giveaway, Tweet on Twitter about the Contest via Gleam, Retweet ORIGIN PC’s Contest Tweet, tag your friends on the Giveaway Tweet, and complete 14 actions to receive more entries into the Sweepstakes. This promotion is in no way sponsored, endorsed or administered by, or associated with, Facebook, Twitter, Instagram, YouTube, Mixer, or Twitch. 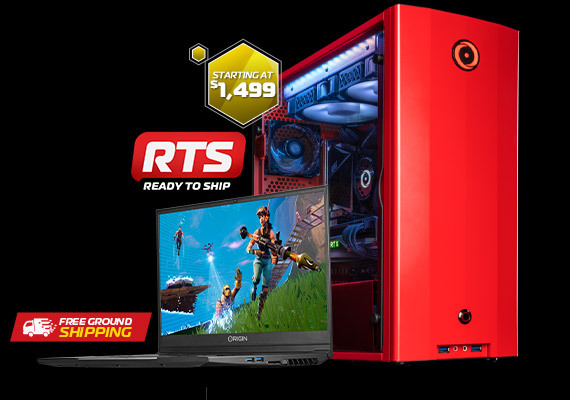 ELIGIBILITY: Giveaway is open Worldwide except where prohibited by local law. Entrants must be 18 years of age or older. The Winner will be responsible for any Duty or import fees related to the prize(s). Sweepstakes is subject to all applicable federal, state and local laws and regulations and is void where prohibited by law. 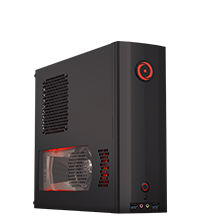 By entering, you agree that your email will be stored and used by ORIGIN PC Corporation (“Sponsor”) only to contact you if you are a winner of the giveaway. After the giveaway is over, you can contact us to delete the email from the Gleam database where the email is stored, contact us via email [email protected] with the subject line “PewDiePie RTS NEURON Giveaway - Gleam Removal” and in the body of the email, request the removal of your email and include the email you want removed from the database. ORIGIN PC will remove the email and accompanying entries/data from the Gleam database. IF YOU REQUEST REMOVAL DURING THE GIVEAWAY YOUR ENTRIES WILL BE REMOVED AND YOU WILL NOT BE ELIGIBLE FOR A CHANCE TO WIN. Neither Sponsor nor any Sweepstakes Entity is responsible for any entry that is lost, late, illegible, stolen, mutilated, incomplete, invalid, unintelligible, postage-due, misdirected or undeliverable, whether due to system errors, omissions, interruptions, deletions, defects, delay in operations or transmissions, theft or destruction or failures, faulty transmissions or other telecommunications malfunctions, human error, entries not received resulting from any hardware or software failures of any kind, lost or unavailable network connections, failed, incomplete or garbled computer or telephone transmissions, typographical or system errors and failures, faulty transmissions, technical malfunctions, or otherwise. Only fully completed entries are eligible. Proof of submission will not be deemed to be proof of receipt by Sponsor or Sweepstakes Entity. On or about April 5, 2019, 1 potential grand prize winner will be selected in a random drawing from all eligible entries received by the Sponsor Representative and will receive an email from Sponsor. Winners will have 48 hours to respond to Sponsor's email within the time sent by the sponsor. If the winner fails to respond, they will automatically forfeit their entry and another random winner will be chosen and contacted. Upon confirmation, the winner must complete an affidavit provided by ORIGIN PC and have it notarized within 7 days. If the affidavit is not completed or received by ORIGIN PC within the time frame, the winner will automatically forfeit their entry and another random winner will be chosen and contacted. Odds of winning depend on the number of eligible entries received for the Sweepstakes. By entering the Sweepstakes, Entrants fully and unconditionally agree to be bound by these Official Rules and the decisions of the Sponsor and Sweepstakes Entities, which will be final and binding in all matters relating to the Sweepstakes. 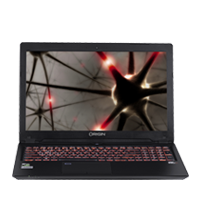 GRAND PRIZE: One (1) grand prize will be awarded to 1 winner only, consisting of 1 ORIGIN PC RTS NEURON (the “Grand Prize”) Total approximate retail value (“ARV”) of all Grand Prizes is $1499. Limit of one (1) prize per person/household. All prizes are non-transferable or assigned and no substitutions or cash redemptions; except at Sponsor’s sole discretion or as otherwise provided herein. Sponsor will not replace any lost or stolen prizes. In the case of unavailability of any prize, Sponsor reserves the right to substitute a prize of equal or greater value. Each prize winner is solely responsible for all applicable federal, state and local taxes, including taxes imposed on his/her income. No more than the stated number of prizes set forth in these Official Rules will be awarded. All prizes will be awarded. Potential prize winners consent to the use of his/her name, likeness, biographical information, and voice in advertising worldwide without additional compensation (TN residents will not be required to sign a Publicity Release as a condition of winning a prize). GRAND PRIZE: Potential Grand Prize winner will be notified via the same email submitted in their entry and will have approximately 48 hours to respond to the sponsor email after it has been sent. If the winner fails to respond, they will automatically forfeit their entry and the sponsor will randomly choose and notify another winner via email. The Grand Prize winner is solely responsible for any taxes, including, but not limited to all applicable federal, state and local taxes that become due with respect to the value of the Grand Prize. Grand Prize winner will be shipped their Grand Prize within 90 days from receipt of the confirmed email response. All federal, state and local taxes are the sole responsibility of the prize winners. By participating in this Sweepstakes, Entrants and prize winners agree to be bound by these Official Rules and the decisions of the Sponsor and Sweepstakes Entities, which are final in all respects and not subject to appeal. Sponsor reserves the right to disqualify permanently from this Sweepstakes any Entrant it believes has violated these Official Rules and verify eligibility of Entrants. Neither Sponsor nor anyone acting on its behalf will enter into any communications with any Entrant regarding this Sweepstakes, except as expressly set forth in these Official Rules. By participating in this Sweepstakes, Entrants, and prize winners release the Sponsor and each and all of the Sweepstakes Entities, from any and all liability, damages or causes of action (however named or described) with respect to or arising out of participation in the Sweepstakes, and/or the receipt or use/misuse of any prize awarded, including, without limitation, liability for personal injury, death or property damage. Failure to comply with these Official Rules may result in disqualification from the Sweepstakes. All Sweepstakes materials are subject to verification and are void if (a) not obtained in accordance with these Official Rules and through legitimate channels, (b) any part is counterfeited, altered, defective, damaged, illegible, reproduced, tampered with, mutilated or irregular in any way, (c) are obtained where prohibited, or (d) they contain printing, typographical, mechanical, or other errors. Entrants assume all risk of loss, damage, destruction, delay or misdirection of Sweepstakes materials submitted to Sponsor. In the event any portion of this Sweepstakes is compromised by activities beyond the control of the Sponsor which, in the sole opinion of the Sponsor, corrupt or impair the administration, security, fairness or proper play of the Sweepstakes or this Sweepstakes, Sponsor reserves the right at its sole discretion to modify, suspend or terminate the Sweepstakes. Winning a prize constitutes permission for Sponsor and its agencies to use prize winners' names, addresses (city & state), voices and/or likenesses for purposes of advertising, promotion and publicity, for this Sweepstakes only, without further compensation, unless prohibited by law. Entrants agree that their name, email address, and biographical information may be used by Sponsor and Sweepstakes Entities. Sponsor may prohibit an Entrant from participating in the Sweepstakes or winning a prize if, in its sole discretion, it determines that said Entrant is attempting to undermine the legitimate operation of the Sweepstakes by cheating, deception, or other unfair playing practices (including the use of automated quick entry programs) or intending to annoy, abuse, threaten or harass any other Entrants, Sponsor, or Sweepstakes Entities. Potential winners must execute Affidavit of Eligibility/Release of Liability Form(s) within 7 days of notification. Noncompliance with these rules or return of prize notification as undeliverable or inability to locate winner within 7 days after notification will result in disqualification and selection of an alternate potential winner. If for any reason this Sweepstakes is not able to be conducted as planned, including, but not limited to, by reason of infection by computer virus, bugs, tampering, unauthorized intervention, fraud or any other causes beyond the reasonable control of Sponsor which corrupt or affect the administration, security, fairness, integrity or proper conduct of the Sweepstakes, then Sponsor reserves the right at its sole discretion to cancel, terminate, modify or suspend the Sweepstakes and randomly draw from those entries received up to the cancellation/suspension date to award prizes. CAUTION: ANY ATTEMPT BY A PERSON TO DELIBERATELY DAMAGE OR UNDERMINE THE LEGITIMATE OPERATION OF THE SWEEPSTAKES MAY BE IN VIOLATION OF CRIMINAL AND CIVIL LAWS AND SHOULD SUCH AN ATTEMPT BE MADE, SPONSOR RESERVES THE RIGHT TO SEEK REMEDIES AND DAMAGES (INCLUDING ATTORNEY’S FEES) FROM ANY SUCH PERSON TO THE FULLEST EXTENT OF THE LAW, INCLUDING CRIMINAL PROSECUTION. SPONSOR’S FAILURE TO ENFORCE ANY TERM OF THESE OFFICIAL RULES SHALL NOT CONSTITUTE A WAIVER OF THESE PROVISIONS. ARBITRATION and WAIVER OF CERTAIN DAMAGES: As a condition of participating in this Sweepstakes, entrants agree that (a) under no circumstances will entrant be permitted to obtain awards for, and entrant hereby waives all rights to claim, punitive, incidental, consequential or any other indirect damages, (b) all causes of action arising out of or connected with this Sweepstakes, or any prizes awarded, shall be resolved exclusively by arbitration under the rules of the American Arbitration Association before a single arbitrator located in New York County, New York; and (c) any and all claims, judgments, and awards shall be limited to actual out-of-pocket costs incurred including costs associated with entering this promotion, but in no event shall any award include attorney’s fees. Disputes arising from this Sweepstakes, or any matter arising therefrom, whether direct or indirect, will be determined according to the laws of the State of New York, without reference to its conflict of laws principles. By participating, Entrants and prize winners agree to release, discharge, indemnify and hold harmless the Sponsor, the Sweepstakes Entities, and each of their respective officers, directors, employees, representatives and agents (collectively, the “Released Parties”) from and against any claims made by any Entrant, prize winner, or any other third parties, related in any way to the operation of this Sweepstakes as well as any other claims, damages or liability due to any injuries, damages or losses to any person (including death) or property of any kind resulting in whole or in part, directly or indirectly, from receipt, acceptance, possession, misuse or use of a prize or participation in any promotion-related activity or participation in this Sweepstakes. This Sweepstakes shall not be published without the written permission of the Sponsor.